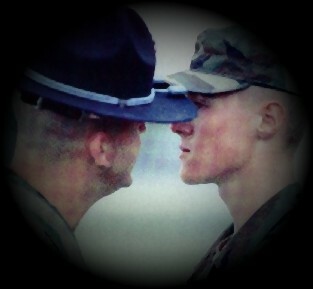 THE TOP TEN PERCENT OF THE INSTRUCTOR FORCE. OF ETHICS, MORALITY AND INTEGRITY. ESPRIT DE CORPS OF THE BASIC MILITARY TRAINING SCHOOL. IS THE "BEST OF THE BEST." In 1975 as part of its ongoing recognition program, the Basic Military Training School created what has come to be known as the Blue Rope awards program. Individuals selected for this coveted honor were permitted to wear the Blue Rope on their MTI campaign hat. The program initially restricted the award to 10% of the instructor force; however, modifications have been made and the exact percentage has varied slightly around the initial goal. Regardless, those selected for this honor earned it through an extremely competitive process and represent the very best that BMT has to offer.